2 drum sets belonging to Chris Gordon of Chattanooga TN. 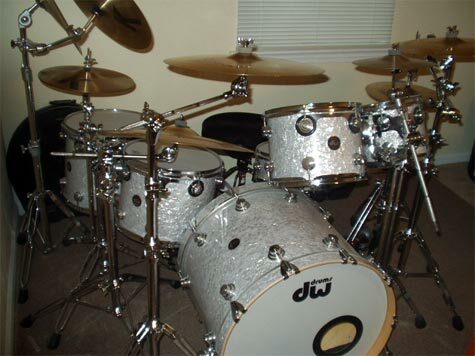 1 kit is a DW Collector series in white marine finish. 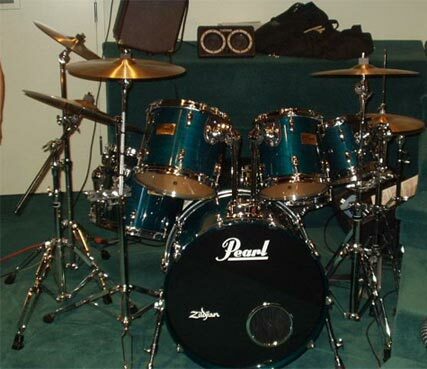 the other is a Pearl Prestige Session in teal blue laquer finish that Chris uses in his Praise and Worship band in church. Both sets feature various Zildjian cymbals from the A, K, A custom and K custom lines.